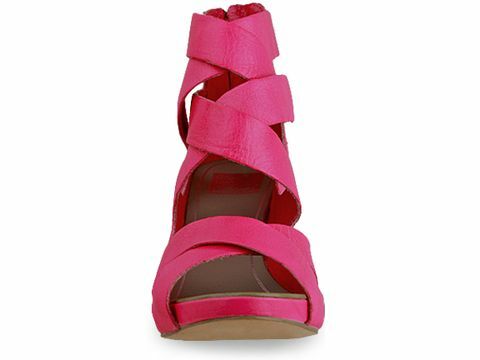 I couldn't resist choosing the Dolce Vita Pela ($165) in this vibrant Pink from Solestruck for today's So Shoe Me. With brights overwhelming the SS11 runway it's smart to start shopping now so you can transition from all black (I'm totally guilty of this one) to the bright-on-bright trend. 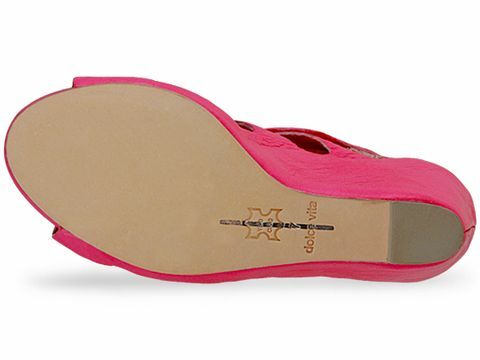 Bringing color in with footwear is perfect for every type of style. 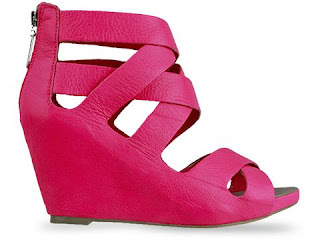 Risk-takers can pair these with mixed prints or different shades of bright separates. For the more classic dresser pair these funky brights wedges with a pair of skinny denim and a brightly collared boyfriend-fit button down in any bright color (other than pink) that you like! To add even more individuality pair the look with a long loose blazer in a third color. 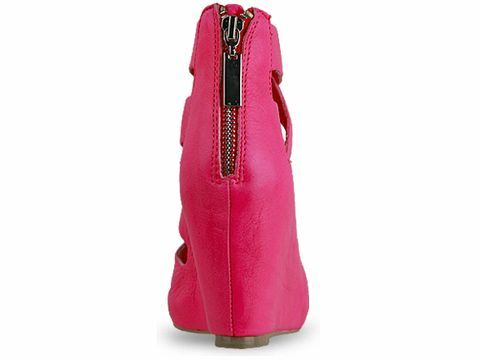 So Shoe Me a pair of pick-me-up pink Dolce Vita Pela's so I can transition from winter to spring with ease.